Old-fashioned snowshoes with a ski resort name (or any name or place). 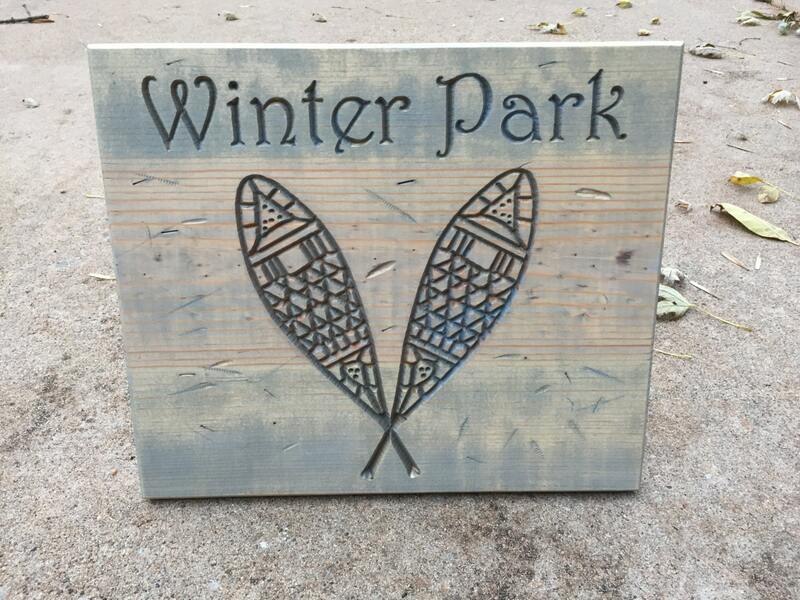 Sign is made from pine and measures about 11" x 12". Each sign is designed, programmed into a CNC machine, then carved. We hand finish each sign by routing the edges, sanding, and staining. The sign in the photo was distressed and weathered, but that is optional. 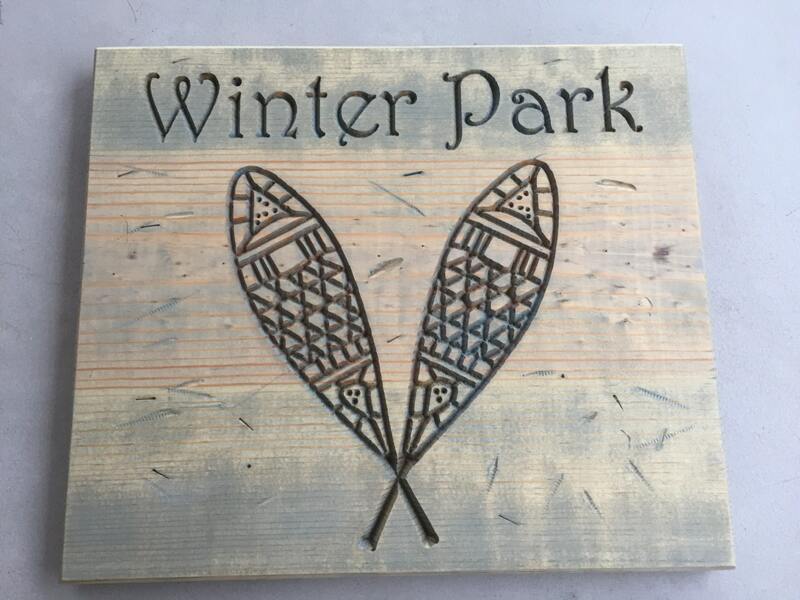 Each sign has a keyhole slot in the back for easy wall hanging from a nail or screw, as well as a spot to insert a dowel rod (included in a separate storage slot) if you prefer tabletop display. A variety of finishes are available.